One can say a lot about coffee etiquette. Each country has its own. 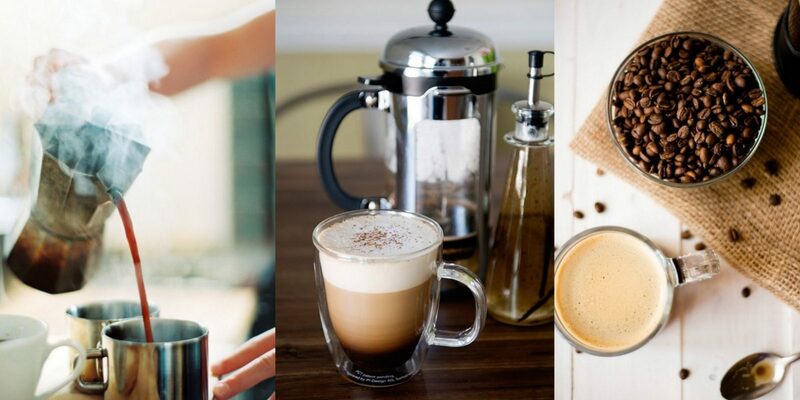 But we can try and narrow it down to the four general coffee etiquette tips. It is worth looking at them to avoid a faux pas in the future. So, do not: – crook your pinkie when drinking from a cup; – dunk doughnuts, biscotti, or anything else in your coffee unless you are at the ultra-casual place where dunking is not unusual; – leave your spoon in the coffee cup, instead place it on the saucer or plate; – cool a hot drink with ice from your water glass. And how do the coffee etiquettes in some countries look like? Italy – always order coffee after meals, never before or during – only espresso without milk. It is rude to order espresso for to-go. Drink it quickly, like a shot, standing at a bar. You only drink cappuccino in the morning, never after meals. A glass of water is often served alongside coffee, so you can clean your palate and mouth from other flavors. Italians sometimes add liquor to their coffee. France – drink cafe au lait in the morning from a wide mug to easily dunk the croissant (we know it is a faux pas according to the general etiquette but each country has its own custom). Hold the mug with both hands. Coffee is served after dessert. Do not order flavored coffee, whipped cream nor filter coffee. Spain – “Cortado” is a very popular drink in Spain (and Portugal), it is based on espresso. Usually a bit of warm milk is added to reduce the acidity of the coffee. The Spaniards drink it for breakfast and during “la merienda” – coffee and snack time, usually after siesta. Turkey – black, hot coffee is served after meals, strong and with Turkish candy. Do not order double because it is really strong. If you crave more to drink, order tea afterwards. Add the preferred amount of sugar during coffee preparation, not after. Coffee grounds are used for telling fortune after you drink your coffee. Bosnia – they prepare the brew similarly to the Turkish coffee. It is served in a special pot called dzezva, along with a glass of water, sugar cubes and rahat lokum. Take one bite of sugar and let it dissolve under your tong while you sip the coffee. Vietnam – served strong and hot, in a small drip filter called “phin”. This filter slowly fills up the cup with fresh coffee. It is traditionally served with a few tablespoons of sweetened condensed milk and ice, making it taste more like a dessert than beverage. Ethiopia – coffee is a national drink there. Coffee drinking is a ritual that generally take at least an hour. They first put sugar is small cups, then add water/coffee mixture. Coffee is served in three rounds called: awol, ton and baraka. You should sip the coffee slowly and inhale the aroma of the coffee before sipping. United States – here coffee is typically consumed on the go, as a caffeine fix that boost energy and helps people start a new working day. Many people view coffee shops as a place to get free internet and work away from the office. If you want to order coffee like a local, order a “cuppa Joe”. There are many other rituals of coffee drinking, unfortunately, it is impossible to describe all of them here. It clearly shows that coffee is not just an ordinary drink that is drunk only at work. 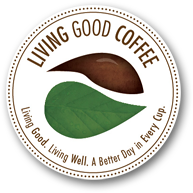 For all rituals we recommend a delicious, good quality coffee – Superb Antioxidant Coffee from Living Good Coffee. It was based on the grains of an exclusive Arabica coffee. These beans go through a special roasting process that allows preserving the quality of natural organic coffee that highlights its wonderful taste and aroma, while preserving all the nutrients.